Located in the historic town of Lahaina, Montage Kapalua Bay is a 5­-star hotel overlooking Namalu Bay. The resort boasts a 24­-acre beachfront garden and spectacular views of neighbor islands Molokai and Lanai. Maui’s Montage Kapalua Bay is only 4 minutes away from the sophisticated Kapalua Golf Club Bay Course. The resort features modern and island-­inspired bedroom condos with full kitchens, living areas, and lanais. The Montage Kapalua Bay is the perfect place to stay and experience genuine island hospitality. Hotel Wailea is Maui’s most romantic hotel and Hawaii’s only Relais and Chateaux. Located in Wailea, Hotel Wailea is Maui’s most romantic hotel and Hawaii’s only Relais and Chateaux. The Maui hotel is an all ­suite style hotel featuring private lanais, living rooms, kitchenettes, and even an in­-room massage. Hotel Wailea is conveniently located next to Wailea Beach and the Wailea Golf Club. The Maui hotel features Hawaiian­ inspired designs combined with contemporary architecture like coral and limestone walls, and sustainably farmed Ohia wood from the island of Hawaii. With an outdoor pool, hot tub, and cabanas, Hotel Wailea is perfect for a romantic Maui vacation. 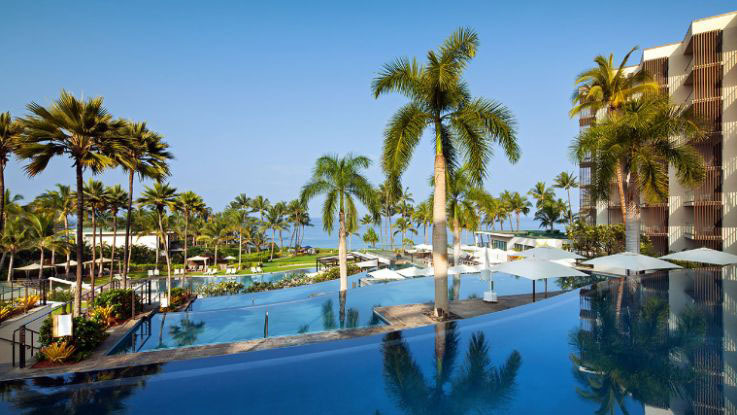 The Four Seasons Resort Maui at Wailea offers a gorgeous Haleakala backdrop and lush tropical gardens. The Four Seasons Resort Maui at Wailea offers a gorgeous Haleakala backdrop and lush tropical gardens. 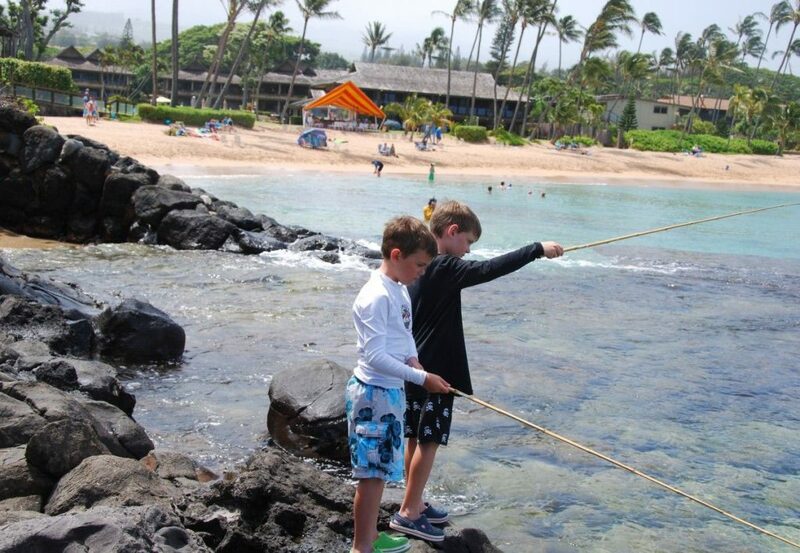 The tropical resort is considered by travelers to be one of Maui’s most kid­-friendly hotels. From complimentary kid toiletries to kid­-friendly menus, the Four Seasons Resort Maui is the perfect hotel if you are bringing the kids. The Maui resort sits on Wailea Beach has Hawaiian palace like design featuring pale yellow and gold colors, with dark koa furniture, and luxurious white linens. Fairmont Kea Lani presents Queen sofa beds, stone walk­-in showers, and private balconies with table and chairs. 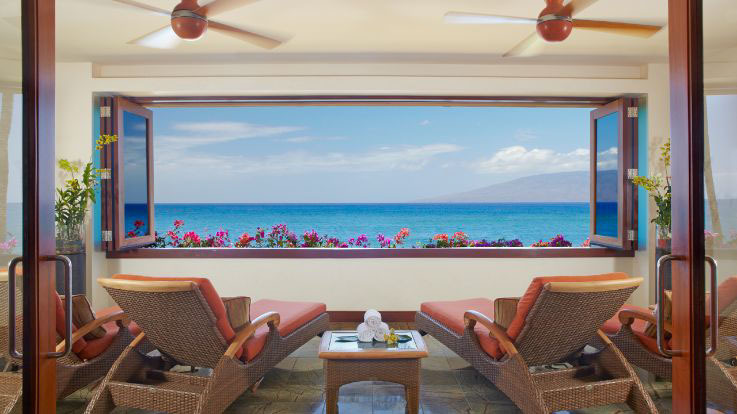 Located in Wailea, the Fairmont Kea Lani is an all­ suite and villa oceanfront resort. The resort features 22 acres of tropical gardens and fantastic beach views. 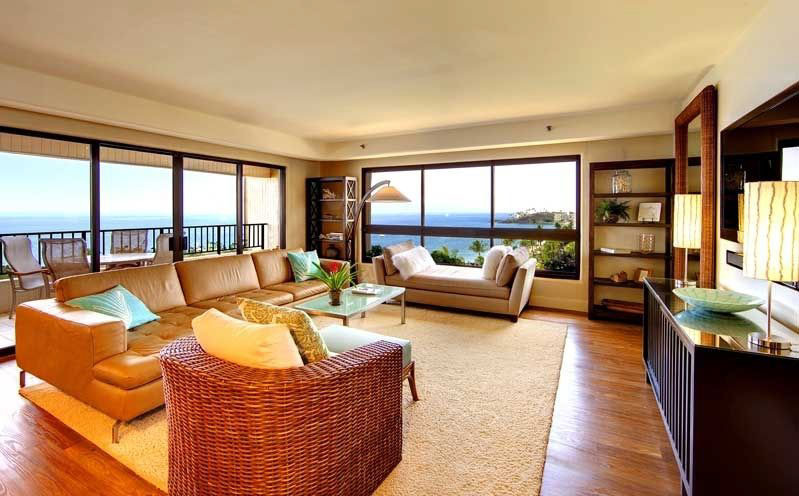 Fairmont Kea Lani presents Queen sofa beds, stone walk­-in showers, and private balconies with table and chairs. The hotel is renovated every 4 to 7 years to provide the latest amenities and is the reason why many visitors consider it to have the best accommodations on Maui. Napili Kai Beach Resort is well known for its calm environment and natural surroundings. Napili Kai Beach Resort is a 10­ acre oceanfront resort next to Kapalua Golf Club Bay Course. The resort features tropical­-inspired furnishings, private balconies, and pull­out sofas. The resort offers free WiFi, four outdoor pools, a hot tub, a day spa, a fitness center, and an 18­hole putting green. Napili Kai Beach Resort is well known for its calm environment and natural surroundings. Napili Kai Beach Resort is perfect for visitors looking for an easy access to the beach, shopping areas, and daily cultural activities like a hula performance. Makena Beach and Golf Resort showcases one of Maui’s best garden and ocean views. Located on Maui’s southern shore, Makena Beach and Golf Resort showcases one of Maui’s best garden and ocean views. The Maui resort is the perfect Maui hotel for visitors looking for a quiet and secluded atmosphere. Offering six tennis courts, two pools, a fitness center, and outdoor activities like free hula yoga, there are many activities visitors can choose from. Its 1proximity to the Wailea Golf Courses is also one of the highly regarded features of this resort. 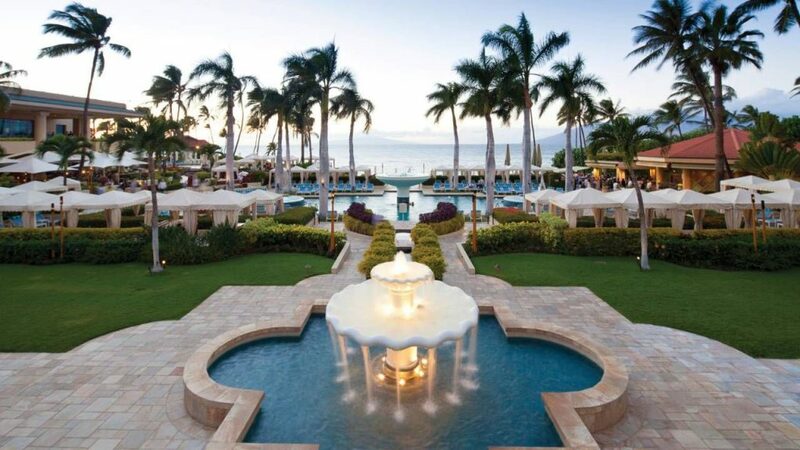 The Hyatt Regency Maui Resort & Spa is set on 40 acres of tropical gardens with fabulous beachside views. Located in West Maui, the award­ winning Hyatt Regency Maui Resort & Spa is set on 40 acres of tropical gardens with fabulous beachside views. The Maui beachfront resort is perfect for sightseeing as it is only a few minutes away from Whaler’s Village shopping mall and the town of Lahaina. Hyatt Regency Maui offers unlimited activities and amenities, from a half­-acre pool with a 150­ foot lava tube water slide to a rooftop astronomy program. The Maui resort and spa is designed with an extensive collection of Asian art and Hawaiian inspired guest rooms. Andaz Maui at Wailea is the perfect luxury accommodation for visitors looking to treat themselves to a lavish Maui vacation. 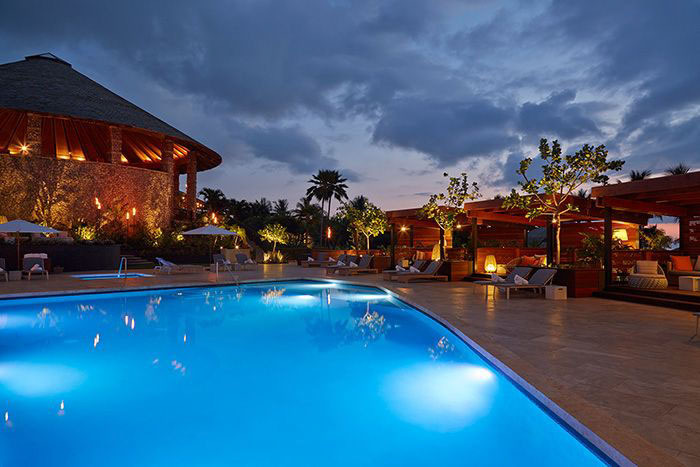 Andaz Maui at Wailea Resort is a 5­star hotel that radiates luxury and sophistication; the 15­acre resort is conveniently located near The Shops at Wailea and the Wailea Golf Club. The Maui resort oversees Mokapu beach and four outdoor infinity pools. Wherever you look around the resort, luxury is ever present, from an “Iron Chef” owned restaurant to spa treatments ranging from hot stone massages to deep­ tissue massages. Guests rooms at the Andaz Maui are outfitted with modern designs with a subtle island theme. Andaz Maui at Wailea is the perfect luxury accommodation for visitors looking to treat themselves to a lavish Maui vacation. 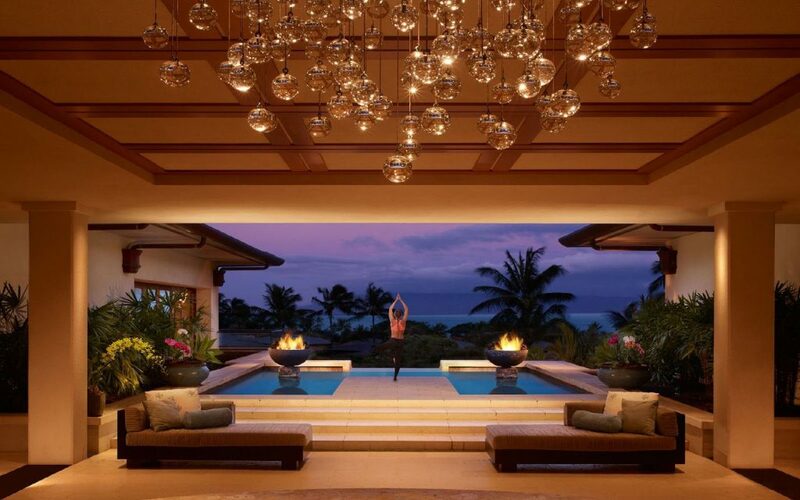 The Ritz­-Carlton in Kapalua features the elegance of tropical decor. Located 2­ minutes away from Kapalua Bay Beach, the Ritz­-Carlton in Kapalua features the elegance of tropical decor. 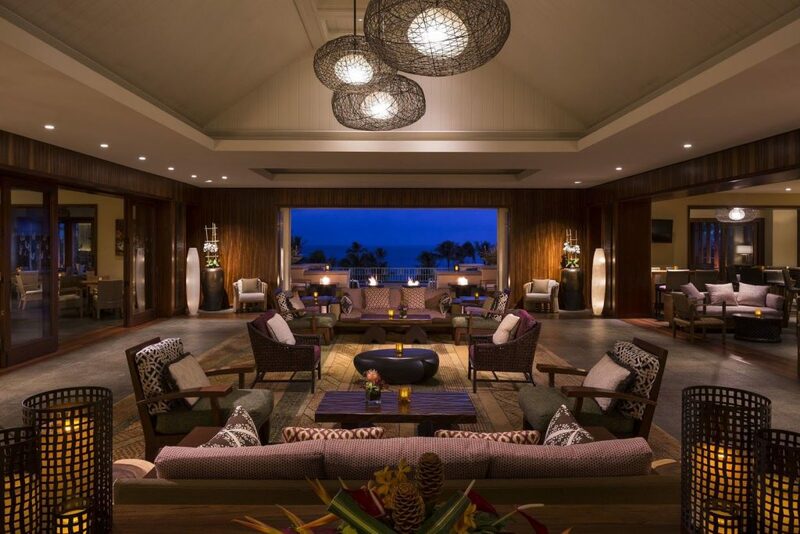 Guests of the Kapalua resort are treated to one of a kind Hawaiian design, the lobby is decorated with native Hawaiian artwork, koa wood panels, and a bar wall covered with lava rocks. The guest rooms have dark wood floors and marble bathrooms with a subtle Hawaiian touch to their designs, the rooms emit an understated elegance. With stunning views of the Pacific Ocean stretching towards Molokai, you can’t go wrong with the Ritz­Carlton in Kapalua. Kaanapali Alii’s guest rooms offer island­-inspired furnishings, private lanais, kitchens, living rooms, dining rooms, and two bathrooms! Kaanapali Alii is an oceanfront condo resort right next to Kaanapali Beach and the Kaanapali Beachwalk. 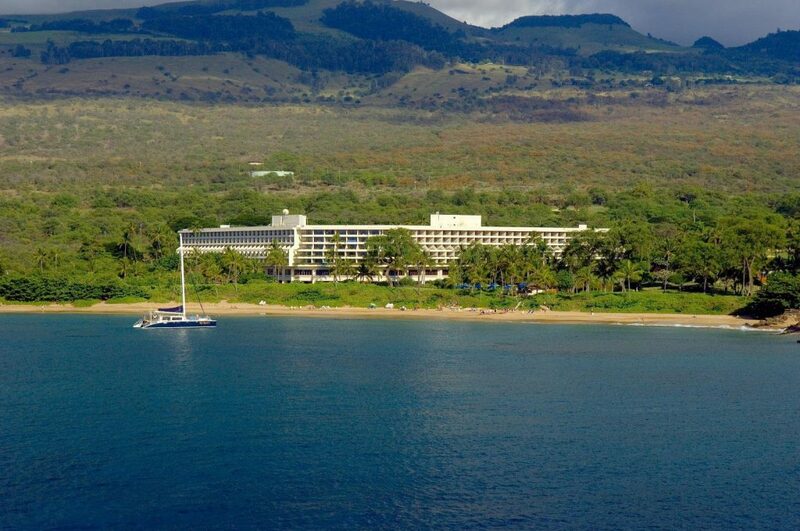 The Maui beachside resort is just 6 minutes away from the Whaler’s Village shopping mall. Kaanapali Alii’s guest rooms offer island­-inspired furnishings, private lanais, kitchens, living rooms, dining rooms, and two bathrooms! This oceanside resort is great for families and visitors looking for a “home away from home” accommodation. You Know the Hotels, Now Check out the Beaches	Check out the Aloha Stoked Beach section for more information on Maui’s world-famous beaches!